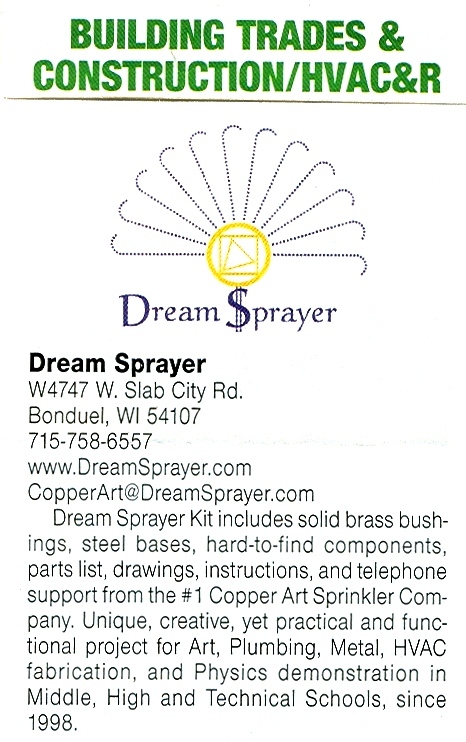 The Dream Sprayer Kit © enables you to make your own copper art sprinkler. 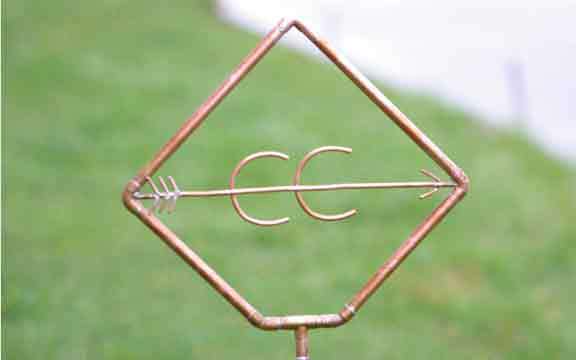 It has a moderate degree of difficulty, but if you're handy with tools, familiar with soldering of copper tubing, or willing to learn, you can enjoy building your own work of art. 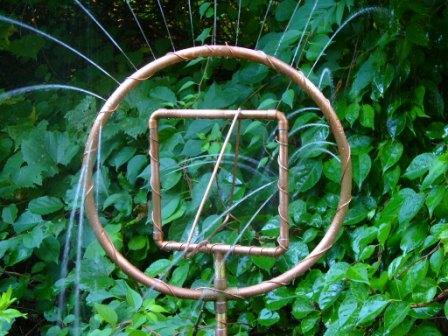 The Deluxe Kit is to make sprinklers with 12" or 15" diameter hoops by 41" or 44" tall. They spray up to 30 feet in diameter. 2). 11" x 17" drawing showing the exploded view and 8.5 x 11" drawing of 12 designs. 3). Full scale spray pattern for 12 and 15" diameter hoops. 4). Material list, directions, instructions and the secrets that make the Dream Sprayer unique. The minimum tools you'll need are a propane utility torch, a drill motor & drill bit, hack saw, wire brush, sanding cloth, solder, and flux. 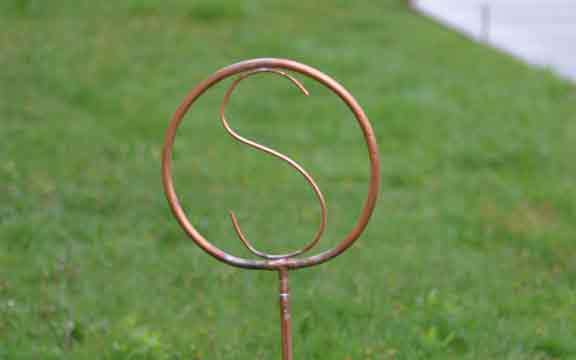 The rigid copper for the stem is available in ten foot lengths, and the soft copper for the hoops come in 20' or 50' lengths. Ask a question by email. Since we began in 1999, copper and brass prices have quadrupled, or more. 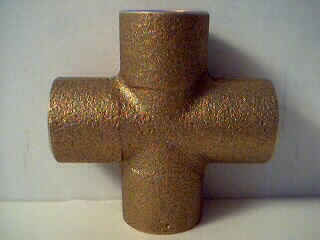 And with PEX plumbing, many stores no longer carry all the copper fittings. So, to save you the frustration and money, every fitting is now included. We continue to offer more product, for less cost to the artist. The Material List saves you many hours of searching. 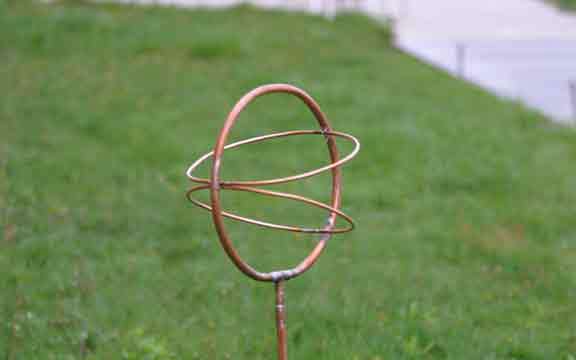 Besides the Kit, you only have to buy the rigid and soft copper (that you can purchase more economically near your home), plus copper or brass for your design inside the hoop (for each sprinkler). The step by step instructions are fully illustrated and easy to follow. Making a good Base is difficult, time consuming and expensive, so we include them in the Kit. For high quality, heirloom sprinklers, you need premium bases. 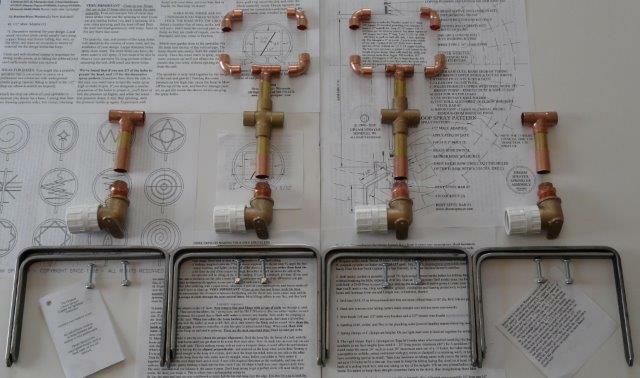 "Your bushings, drawings and instructions are as much a work of art as your website. You're the best." 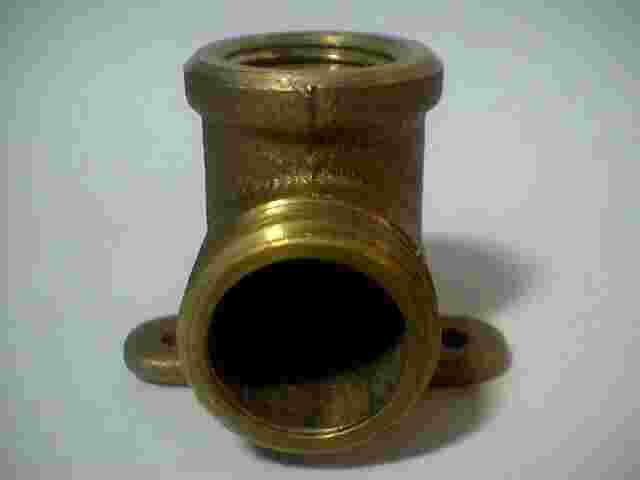 Gloria L. Sheboygan WI Our bushings fit an upright stem of either Type L (strong) or Type M copper (weak). Most competitors only fit Type M. Dream Sprayers are the best. "We finished our stained glass sprinkler. Attached this one to our fence. Check it out." 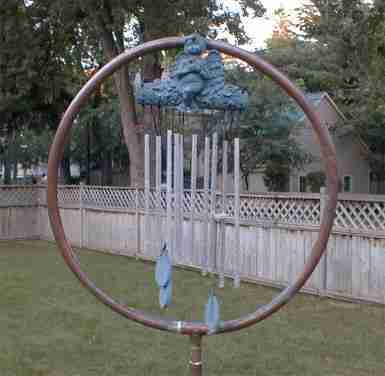 Tim K. Scotia NY "We made another one that has a wind chime in it... by day a sprinkler, by night a wind chime." Drawing of 12 free designs for inside the hoop, included with every Kit! 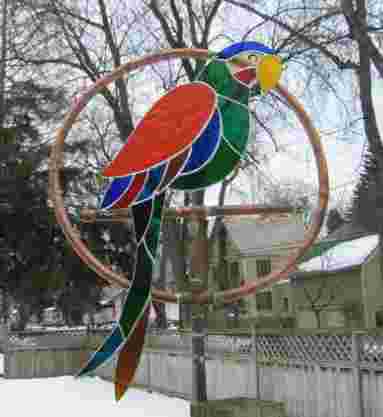 "My wife salvaged the parrot from a relative and re-soldered the whole thing. 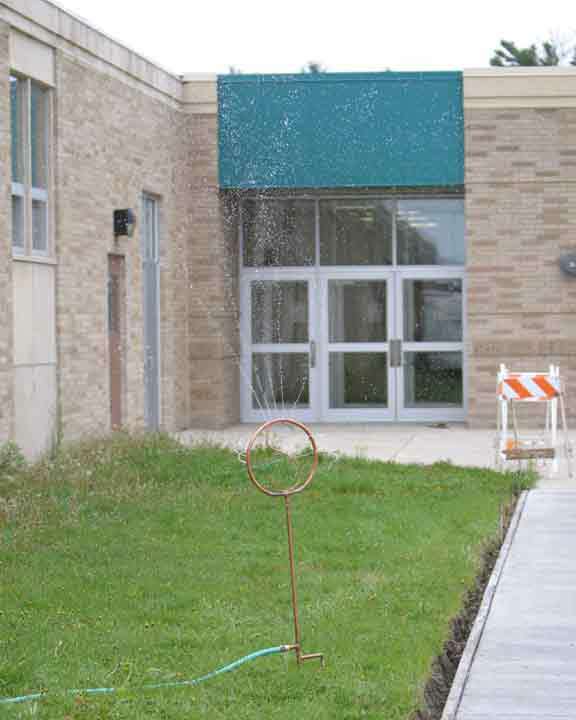 I thought it'd be cool to make a perch inside one of the sprinklers." Tim K. Scotia NY Two Cross fittings are included with each Deluxe Kit, used to make the 'Paradox'. Requires 2 Bushings (included in Kit). 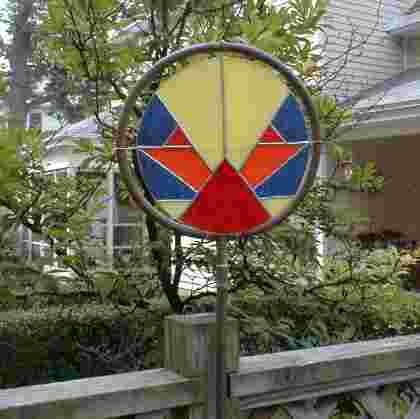 Four 4-prong bases are included in the Kit, so you can concentrate on making art for inside the hoop instead. An excellent project for Middle School, High School, and Technical Schools. We have many satisfied schools as customers. Call Jon at 920-776-1272, send an email, or go to the order page. everyone has a different idea for their sprinkler. The elbow we've always recommended for the finest looking assembly has been discontinued at many stores ($7.69 to $9.89 each). We made a large purchase and pass the savings on to you ($7.00 ea.). Now the Kit is even more convenient because it includes the 4 elbows. 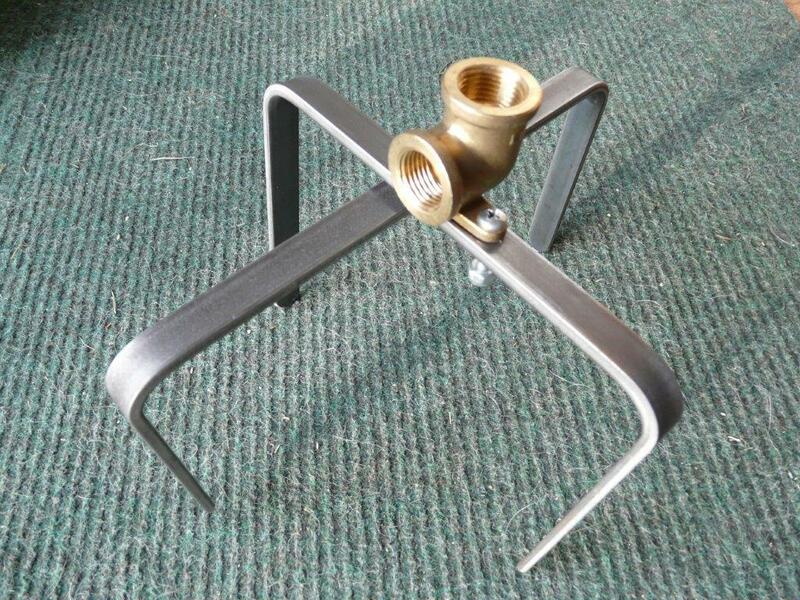 You save time searching for the hard to find elbows, make the finest sprinklers, and at the best prices too. Artists sell far more sprinklers at the local arts and crafts festivals, shows, and fairs than they ever do online. If you're looking for a craft or hobby that you can make some extra income with, you've found it. 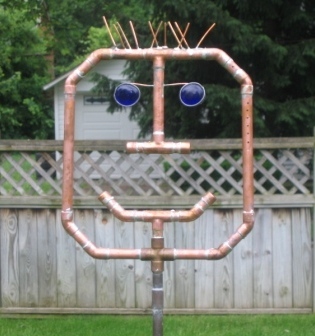 Local copper sprinkler artists always sell out at the arts and crafts shows. That's because buyers want something unique made by friends and local artists! and admire your open philosophy towards artists. I'll send you some pictures of the sprinklers. 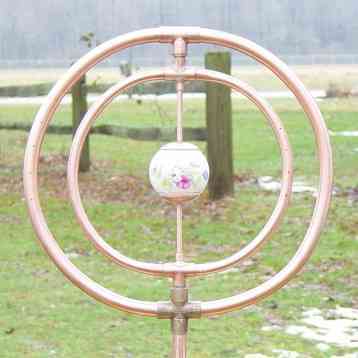 The most frequently asked question is how do I make the hoop? The 1/2" soft copper tubing already comes in a roll. Just shape it around something round like a 5 gallon pail. Cut it to the desired length. Grab the ends of the hoop like the horns of a bull, with the horns up. Push down both horns until you get them to be across from each other. It's made into an oval, but you can slide the tee right on to both ends. Now solder it together. When it's cool, make the oval shape back into a circle using your original form as a guide, or sculpt your design free-hand. Jon shows several methods to Subscribers, including the secrets other artists contributed, like using an old movie projector reel, or a small bicycle wheel minus the tube! 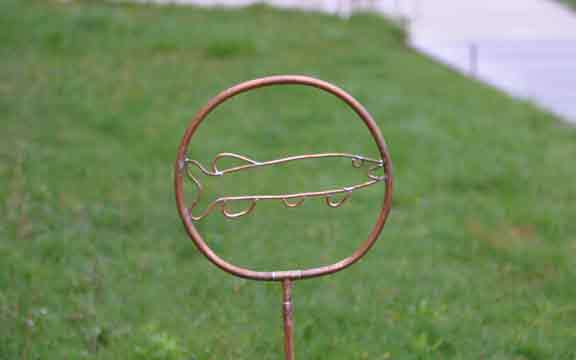 Still want to make one with parts found at the local hardware store? Convince me some more, or try it with the cheap impulse sprinkler parts. Was a rained out weekend, so I was looking around the cellar for something to do and found some extra copper. So I came up with Spike, he's my latest sprinkler. 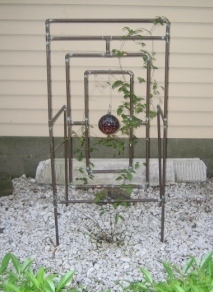 Beginning of last summer I was on your site and saw the trellises, I really liked them and made one for our house. Notice the witches ball? 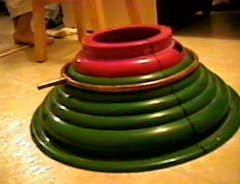 Moved it from the original sprinkler I made... have to come up with some other idea for that one... next rainy weekend. Tim K. Scotia, NY Click on pictures to enlarge. 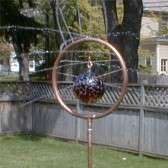 Have a broken copper sprinkler in need of repair? Read this. Prices and specifications subject to change without notice or obligation. All original designs are copyrighted, and subject to availability.